Love and hate is Nike's big theme around the retirement of Kobe Bryant, who will play his 1,346th and final NBA game on Wednesday night. We saw this last week in this Nike spot from Wieden + Kennedy Shanghai in China, where Bryant is revered (but where, in the spot, he urged fans to consider hating him instead of loving him). 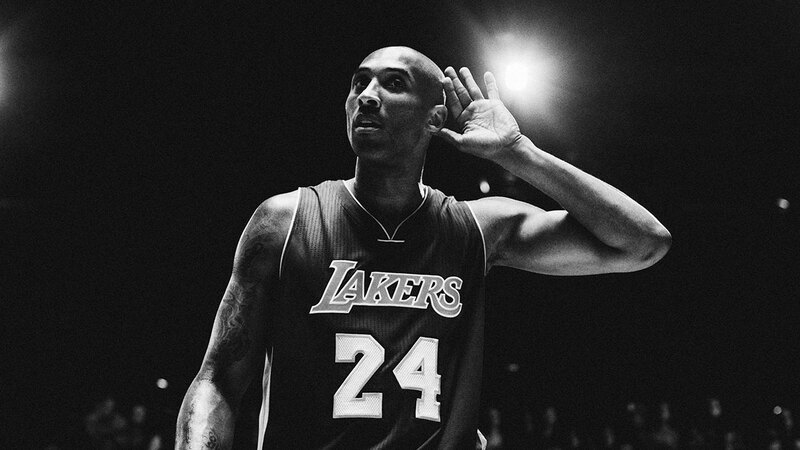 There's a similar polarizing feel in Nike's U.S. farewell to Bryant, which gets the player's friends and foes (the ones who are also Nike endorsers) to sound off about the the Lakers star. Nike has also declared April 13 to be "Mamba Day," a reference to Bryant's nickname, Black Mamba. There's a digital element to the campaign. If you visit nike.com/mambaday on a mobile device, you can choose "Love" or "Hate," enter a word you think best describes Kobe, and then build a poster of the word superimposed on any photo you upload. Nike certainly got its endorsers in line for this project. The video features Kyrie Irving, Russell Wilson, Allyson Felix, Elena Delle Donne, Odell Beckham Jr, Paul George, Rafael Nadal, Paul Rodriguez, Natalie Anchonwa, Kirani James, Michelle Wie, Richard Sherman, LeBron James, Neymar Jr, Serena Williams, Roger Federer, Phil Jackson, Sanya Richards-Ross, Tiger Woods, Clay Mathews, NaVorro Bowman, Brooks Koepka, Kevin Durant, Rob Gronkowski, Ali Krieger, Rory McIlroy, Gerard Pique, Eric Koston, Shao Ting, Javier Mascherano, Yi Jianlian, Andres Iniesta, Marcus Mariota and Mo Farah.